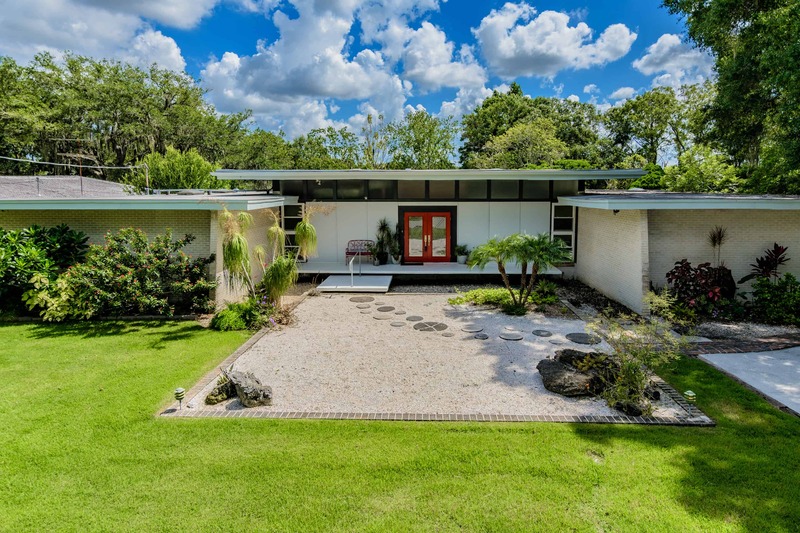 I’ve always loved the clean lines, angled roof lines and artful indoor-outdoor marriage of the mid-century modern style of architecture. Regular readers of my blog are in some sense my family, so I don’t mind sharing with you that this home should have my name on it! This is my dream home. For reasons I’ll go into at the end of the piece, it won’t be mine. 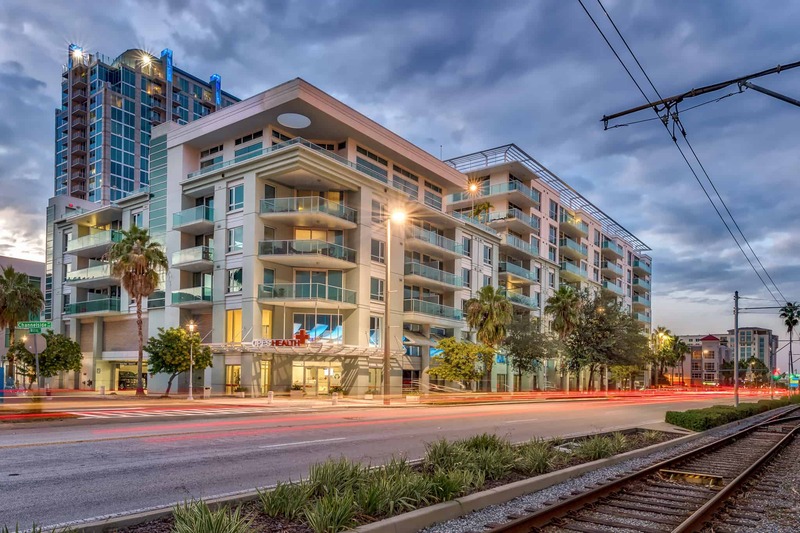 But I’m thrilled to have had a hand in creating the vision, along with two premier Tampa Design professionals and an amazing Tampa builder. More details about this stunning house in a moment. But first a word about the professionals who shared my vision to create and market this house. Without them, it would never be built. Now for the skinny on the Riverside Heights home. No one has built a modern house like this in Riverside Heights! First, the sleek lines are so crisp and elegant, they make me think of think of architectural greats who changed the world – Frank Lloyd Wright and I.M. Pei. There’s no way this home won’t become an instant classic. From the street you’ll see the classic shed roof, and if that’s not mid-century enough, there’s something called a “tower retreat.” Seriously? Who wouldn’t want a home with a place to hide away that gives one an elevated view of the surrounding neighborhood? Just think what you might sit there and do – read Travel & Leisure magazine, birdwatch by day, enjoy streetscape silhouettes by night! Before we go inside, consider a couple more features of the exterior. A metal roof reflects use of honest materials and will sing in the rain. A street-side balcony extends the envelope of the second floor loft. And once again there’s the abundant provision of daylight via French doors and large windows. You get a sense of expansiveness from the first moment. The great room and kitchen come complete with café and family dining spaces. And what better than a brick wall to provide a backdrop to the living space? The exposed brick – a mid-century-mod hallmark – stretches from the front porch to the entry vestibule of the “owner’s suite,” ascends the stair tower and penetrates into the loft. You catch glimpses of this warm, down-to-earth wall through the opening directly atop the foyer, which reveals the loft space above with its characteristic sloped ceilings. What are the specs, you ask? You get a lot of home in this 35-foot-wide, two-story, 3 bedroom /2.5 bath space is 2,124 square feet heated and 3,122 total space under cover. There’s a one-car garage. The lot itself is 50 by 120 feet, lush, with access to a 20-foot alley in the back. The home is designed to take advantage of the envelope of the huge, grand oak tree that frames the covered porches in back. Back to the kitchen – the one room that tops almost everyone’s most-important list! There’s plenty of storage space, as cabinets line the entire back wall. What else are you looking for in a kitchen? Gas appliances? Check. Solid surface quartz countertops? Check. Island and eat-in space in kitchen? Double-check. And, of course, the cabinets are solid wood. There’s a pantry as well. Buyers will naturally be equally curious about the owner’s suite. No disappointments here, either! Positioned to provide great privacy, it’s located in the back of the home, and you can easily pop outside via direct access to the rear lanai. The bedroom ceiling slopes toward the rear yard, terminating above clerestory windows over sliding glass doors. Tres elegant! Related amenities: a large walk-in shower, double vanities, a private toilet room and large walk-in closet with optional stacked-washer dryer. In the family dining room, a 10-foot island is an architectural centerpiece, providing not just storage but also space for a wine cooler. The great room flows into a rear screened porch with a large pocketing sliding-glass door that creates that ambiguity between indoor and outdoor space so central to the style. Follow the winding stair along the brick wall, and you enter the second-floor loft, a 10-foot by 21-foot retreat with a sloped ceiling that carries into the two bedrooms. Big windows bookend the loft. Cleverly, when opened they allow for cross-ventilation on cooler days. Each bedroom sports larger corner windows and clerestory windows shaped by that dominant sloping roof. We all worked together to keep the price affordable, so you may be startled that a million-dollar home like this is being offered for $424,000! I mentioned earlier that this is my dream home. One day I will own it or one like it. 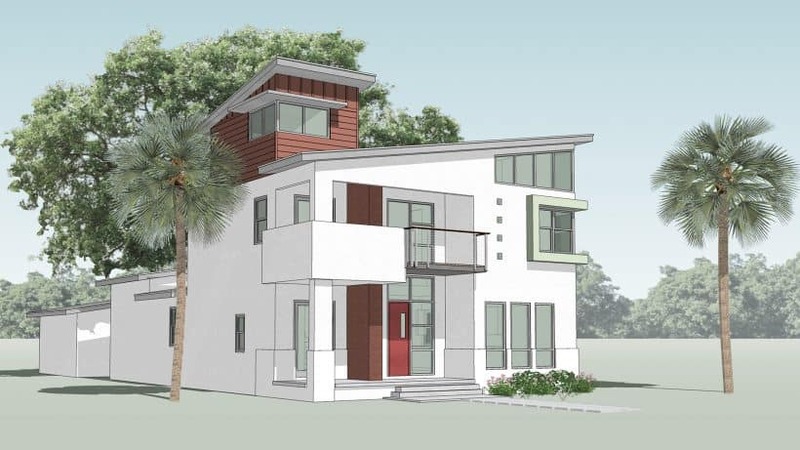 If you remember my blog http://midcenturymoderntampa.com/ you know that I had considered buying a mid-century modern home to renovate but then switched to a plan to build something new. As it happened, I chose to renovate a townhome instead. For now, I believe, it is meant for me to be able to sell mid-century homes to people who have the same passion for them as I do! And just where is this magnificent property? At 808 W. West Street just outside Tampa Heights in Riverside Heights. And as for the magical mid-century modern house, the one-of-a-kind in Riverside Heights, contact me if you want to know more! 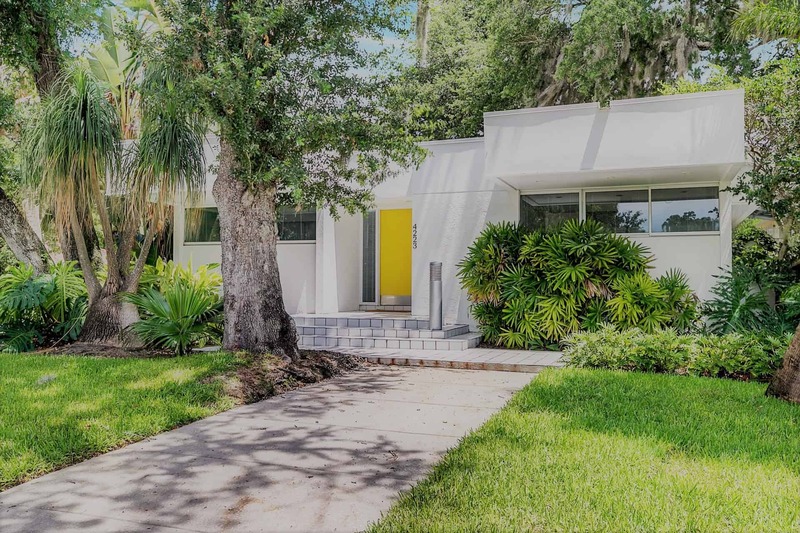 Frank DePasquale Mid-Century Home on the River in Tampa!